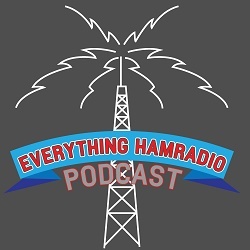 Hello everybody and welcome back to the Everything Ham Radio Podcast! This is Episode #9, we have past the infamous 7th episode that is the normal stumbling step for podcast and we are one away from double digits! Over the past 8 episodes, we have been talking about all things digital, but this week are going to change gears and start a short series about emergency communications. In part one of this series, this episode, we will be talking about Emergency Training, in part two, Emergency Preparedness and in the last episode in this series we will be talking about Go-packs. Training is probably the most important part about emergency communications. Many years ago, I had heard that when a disaster happens, everything goes out the window. This couldnâ€™t be farther from the truth. Things appear to be extremely chaotic at the beginning of a disaster, and in some instances it is, especially if the people that are on the scene at first, decide not to use the NIMS system from the get go. Being a dispatcher now for nearly twelve years, I have seen incidents that are pure chaos and I have seen incidents that are very structured and run smoothly. Those that actually worked right, especially from the beginning, were those incidents that were started with the correct command structure in place and everybody knew or was told what they needed to do. Training is the key to having a well organized incident. Now I know that us, as amateur radio operators, will probably never been in command of an incident, but you still should know how one works. Several years ago, after 9/11, the whole emergency response system has had a complete overhaul. Before 9/11, first responders were encouraged to have formal training on command but it was not a required training unless it was at the local level. Since 9/11 and the conception of Homeland Security, a new system was put into place called the National Incident Management System or NIMS for short. This system was put into place by Homeland Security and is required training to anyone that is going to be assisting in a disaster area. For the First Responder level, which is what Amateur Radio Operators are classified as, there is two courses that you have to take. Links to both of these courses can be found below. The courses are free and you take them online. These two courses are the two courses that you are required to take if you are going to be helping on an incident. There are some other courses that many agencies recommend that you take as well but are only required on the local level. However, if you are part of the command team for you county, the supervisor level of training that is required is the IS-200.b and the IS-800.b courses. Below are direct links to those and a couple others that some agencies require. I am also including a link to the main course directory in case you want to look and see if there is anything else that you might want to take. The ARRL also has an Emergency Communication Training course that is a good thing to take and has a lot of good information. Some agencies also require this course. One thing that I have learned over my career as a dispatcher and to a certain extent my experience in emergency services Â with both amateur radio and as a volunteer firefighter, is that you can never have too much training. When crap hits the fan, your body will automatically fall into a mode that we have all heard of, Fight or Flight(now it is Fight, Flight or Freeze). As emergency responders we train so that we know what to do in the event that we are needed. If, for example, you are called upon to go to a shelter and set up a station there. If you have never really trained or practiced setting up a station on emergency power or in a temporary location, then you are going to be wasting valuable time trying to get your station setup. Now I’m not saying that if you practice and/or train on how to set up a temporary station somewhere then you won’t have issues setting it up, but the more you train to do things, the easier it is to problem solve and figure out how to get over those hurdles. HacDC ARC is a loosely organized group of Washington DC Hams. Their regular meetings are on the second Wednesday of the month at 7:30pm and they have a irregular unorganized meeting on the 4th Wednesday of the month, probably at the same time, but I’m not sure since it doesn’t say on their website. They meet on the third floor of the St. Stephen and the Incarnation Episcopal Church, 1525 Newton St. NW, at the intersection of 16th and Newton Streets, NW in the Mount Pleasant/Columbia Heights area of Washington, DC. They hold a weekly net on Mondays at 9pm. Currently they are using the 145.110 repeater there in DC. The club appears to be very active in on the air events. They have several posts about different QSO parties, or other contests that they have participated in. They also have said that they are going to do several National Park activations. They made one of the first, if not the first, NPOTA contact at 0000 UTC on Jan 1, 2015 with AE5DW, the host for the Amateur Radio Newsline Podcast. I would like to thank all of yall for listening to my podcast and coming to my site. It is because of all of you, my readers, that I enjoy doing this so much. If you haven’t listened to the podcast episode yet, this podcast and blog post is dedicated to a good friend of mine that became an SK last Friday, 3/11/2016, Tim Hagale, KE5EZM. I have known Tim for about 25 years. He was always one of the first people to volunteer to help you if you needed it. On top of being a ham, he was also a volunteer Fire Fighter for about 10 years. About a year ago, he was diagnosed with Colon cancer and although he was fighting it, he went down hill very fast. Unfortunately, he lost his battle with it on the day of his birth, surrounded by friends and adopted family. Tim you will be greatly missed!! If you have not subscribed to my site yet, please do. This will allow you to receive emails from me on when I publish a new post or podcast episode. It’s super easy! Just click on Subscribe and you will be taken to my subscribe page, once there, fill out the form with your information and click on the “Sign Me Up!” button. Shortly after that you will receive the very first email from me with a link that you will need to click on. If you don’t click on that link, you will never receive another email from me, so please click on it and confirm your subscription. Please like me on Facebook and follow me on Twitter as well! Links to these and all of my social media pages can be found on the menu at the top of the page under Social.